Editorial board: Yu. Ya. Barabash, Doctor of Philological Sciences, Professor; Andrzej Baranov, Doctor of Philological Sciences, Professor (Lithuania); S.A. Halchenko, Candidate of Philological Sciences; I.M. 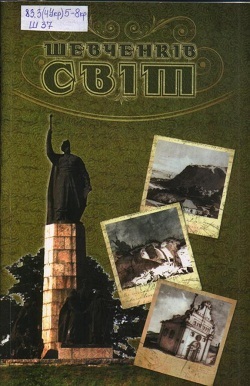 Dziuba, Academician of the National Academy of Sciences of Ukraine; M.H. Zhulynskyi, Academician of the National Academy of Sciences of Ukraine, Doctor of Philological Sciences (Head); L.I. Kavun, Doctor of Philological Sciences, Professor; V.M. Kovalenko, Candidate of Pedagogical Sciences, Assistant Professor ; O.S. Kychenko, Doctor of Philological Sciences, Professor; Yaroslav Lavskyi, Professor (Poland); O.Y. Miroshnyk, Candidate of Philological Sciences, Assistant Professor (executive secretary); D.S. Nalyvaiko, Corresponding Member of the National Academy of Sciences of Ukraine; V.I. Pakharenko, Doctor of Philological Sciences, Professor; V.T. Polishchuk, Doctor of Philological Sciences, Professor (executive editor); L.V. Skoryna, Candidate of Philological Sciences, Assistant Professor; V.L. Smilianska, Doctor of Philological Sciences; Myroslav Shkandrii, Professor (Canada); N.M.Yarmolenko, Doctor of Philological Sciences. 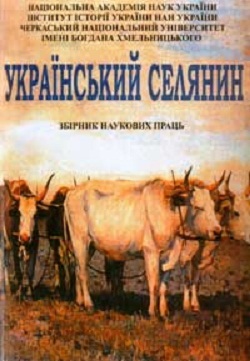 Materials of the collection of scientific works offered to the reader cover the traditional circuit of issues related to the agrarian history. The authors of the articles shed light on various aspects of peasantry history, particularly on the issues of historiography, methodology, source studies, as well as the historical development of peasantry at the main stages of the history development. For a wide range of specialists in Humanities, teachers, post-graduate students, students and everyone, who is interested in agrarian history. Specialized scientific publication registration at the State Accrediting Committee of Ukraine: The Decision of the Higher Attestation Committee dated 22.12.2010 No. 1-05/8 (Bulletin of the Higher Attestation Committee of Ukraine, 2011. – No. 2);Order of the Ministry of Education and Science of Ukraine №1238, December 21, 2015. Executive editor: Doctor of Historical Sciences, Professor S.V. Kornovenko. Deputy executive editors: Doctor of Historical Sciences, Professor A.H. Morozov. Executive secretary: Candidate of Historical Sciences Y. G. Pasichna. Šmigeľ Michal, Doctor of Historical Sciences, Associate Professor (Slovakia).